Got to love exhibition games! When we get out the the studio to shoot events, parties etc., it is typically uneventful. Every once in a while you just wish something exciting and off the wall would happen. 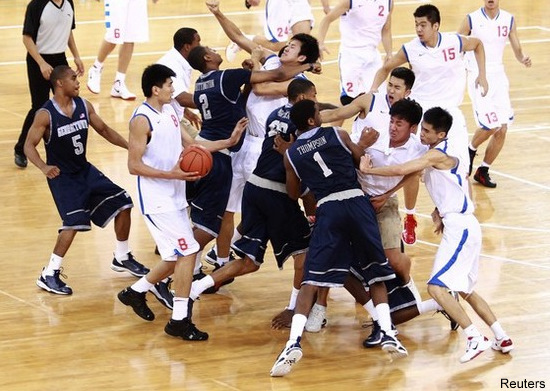 Something like, I don’t know…a college basketball time going over seas to play an exhibition game against a Chinese team and ending in a bench clearing brawl. Do you think the Chinese were angry about holding our bonds with our downgraded credit rating? 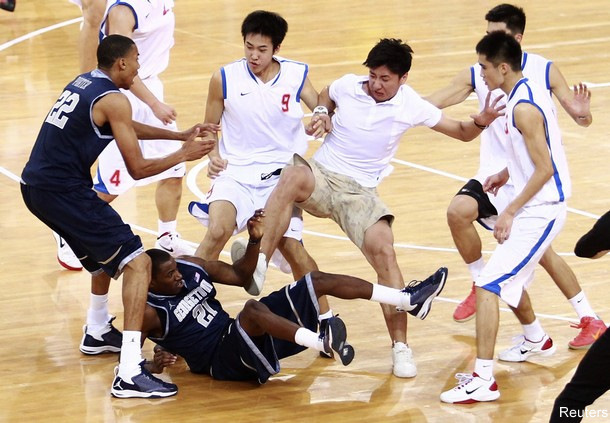 That’s right, the Georgetown men’s basketball team, on a good will mission got into a huge fight with the Chinese. We wonder what our relations are now?